Since Sheikh Mansour bought the club back in 2008, Manchester City have been blessed with exceptional talent in the shape of Sergio Aguero, David Silva and countless others. 1.3 billion pounds and nearly 70 signings later, only a few have remained as influential as Fernando Luiz Roza, better known to the footballing world as Fernandinho. 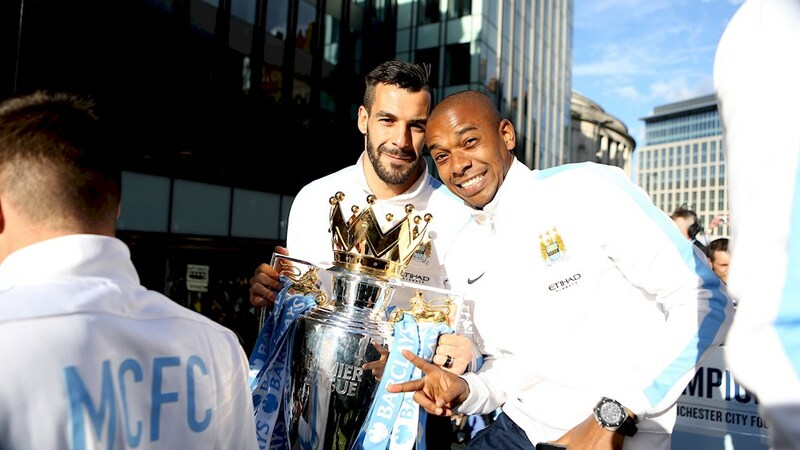 The Brazilian defensive midfielder joined Manchester City in the summer of 2013, along with the appointment of the Manuel Pellegrini. A signing like that of the former Shakhtar Donetsk man seemed of paramount importance as City looked to extend their charge in Europe from pretenders to champions. The number 25 was signed after spending 8 years with the Ukrainian champions where he established himself as an icon. Fernandinho left with a burgeoning reputation and joined the Manchester club for £34 million, a bargain in retrospect – considering what he would be worth in today’s market. The midfielder has since gained a ton of respect, not only from the Manchester City faithful, but he is also regarded as one of the best defensive minded midfielders on the planet. Possessing a skill set, not even the best of the best possess. The Brazilian is a masterful presence; a perfect number 6 in English Football. His ability to drive forward coupled with his defensive acumen is what sets the midfielder apart from his peers. A rare ability in today’s footballing world and incidentally the most sought after qualities you could wish for in a defensive midfielder in today’s market. 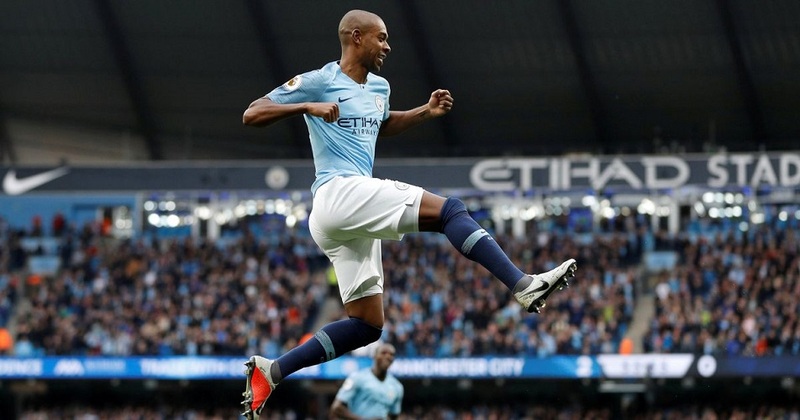 With the rise of possession-based football and increasing popularity in playing the ball out from the back, Fernandinho is an example of the perfect mediator; impressive and comfortable on the ball and at the same time, excellent in defence when called upon to do so. While many may not rate him as the best defensive midfielder in England, the Brazilian has had a recent upsurge in his popularity in the country, with N’golo Kante flattering to deceive in his new role as a right-sided midfielder under Maurizio Sarri. Fernandinho has fascinated the nation with his unerring performances in the sky blue. An integral cog in Pep Guardiola’s machine, the team have found it very hard to manage games in his absence; a testament to his contribution as one of the most influential players in the “shark team’s” roster. A prime example of Fernandinho’s irreplaceability came to the attention when City succumbed to successive defeats against Crystal Palace and Leicester City in December in his absence. While the likes of Ilkay Gundogan and John Stones tried to fill the boots of the veteran, they failed to rise to the occasion. The defensive midfielder has perfected the art of breaking up the play. Fernandinho’s awareness and sheer knowledge of the game help him in tactically fouling a player when exposed. Yet, not cynical when doing so; leaving unscathed most times as he knows how and when to perfectly lunge into the tackle and break up the play without warranting a booking to his name. The Brazilian international’s outright doggedness in recovering the ball is one of the most important aspects of Guardiola’s relentless City side. Fernandinho has been sweeping up and doing the dirty work for the side for a long time now; and it might just be the reason why the Brazilian is not rated so heavily, as opposed to N’Golo Kante and Sergio Busquets who seem to tackle and win the ball efficiently and cleanly most times. The midfielder acts as a lynchpin, nicking the ball in the middle and initiating many of the Citizens’ swift counter-attacks. Now into the 8th month of the footballing season, many believe that the number 25 has surpassed other highly regarded defensively minded midfielders Casemiro and Kante this season, with both players enduring difficult campaigns at Real Madrid and Chelsea respectively. Manchester City remain as one of the few clubs fighting on all fronts in Europe. With the League Cup already in the bag, they’ll be looking to give their all for all the remaining trophies with Fernandinho in the thick of it. Not many were expecting him to reach the heights that he did when the Sky Blues signed the then 28-year-old. Fernandinho has matured like a fine wine, especially in his tenure under Guardiola. The midfielder is one of the first names on the team sheet with the manager completely bestowing his faith upon him. A midfielder of his talents is not unheard of in a Guardiola side, Sergio Busquets and Thiago Alcantara have both expertly deputised in the role of a number 6 – a midfielder who will sit deep and perform defensively whenever required and consequently, provide the team with the abilities of a deep-lying playmaker while in possession of the ball. The only surprising difference between the 3 teams is perhaps the lack of strength in Manchester City for the position. The manager has spent £542.9 million in his tenure at the club but has failed to acquire a signing who could replace or even mark a presence in his exclusion from the squad. The natural midfielder even deputised as a ‘false centre-back’ in crucial wins against Arsenal and Schalke. Fernandinho sat back as a central defender when the two sides had a hold of the ball and played in his natural position at defensive midfield when City were in possession. A player who is seemingly comfortable even in advance positions of the pitch did not seem fazed by the challenge and performed in spectacular fashion at centre-back. Another injury setback in the Carabao Cup final meant facing weeks out on the sidelines for the Brazilian, thereby inviting doubts over the next set of vital fixtures in the business end of the season. Ilkay Gundogan though hasn’t had much to worry about. The Citizens have only conceded thrice in five games in Fernandinho’s absence, with the trip away to Swansea proving to be the only stern test the club has faced. The tireless workhorse is revered in Donetsk and Manchester, but his compatriots may not hold the same opinion. Fernandinho is just 1 cap short of a half-century for Brazil, and his time in the Seleção has been rife with criticisms and malicious judgements. The humiliating 7-1 loss to Germany was just the start of a (seemingly) lifetime of scrutiny and personal abuse. The own goal in favour of Belgium in the quarter-final of the FIFA World Cup did not sit well with the football-mad country of Brazil either. The scorer of the burdensome own goal has since then been the subject of death threats and racist remarks from his own countrymen. 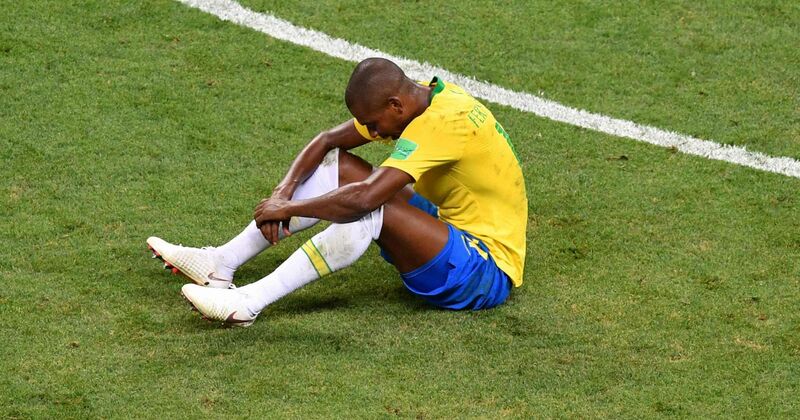 Fernandinho has expressed his intentions of denying a chance to play in the Brazilian national team after the debacle. He has been instrumental in City’s title charge this season. A man of his talents is hard to replicate, and the club will be fully intent on transferring in a player who seems best suited for the club and the manager in the summer. The names of Tanguy Ndombele, Ruben Neves, Saul Niguez and Declan Rice have been floated around in the media for his replacement and the club is fully aware that they may have to spend big in order to bring in the much-awaited defensive midfielder. City looked like the frontrunners in acquiring the Napoli star Jorginho in the summer, but instead, they failed to sign him and the Italian joined rivals, Chelsea. Similar fates have occurred in the cases of Manchester United’s Fred and Barcelona’s Frenkie De Jong, with the latter being a target for several European stalwarts. Manchester City will look to avoid another player slipping through the cracks, especially with the threat of a transfer ban looming large. The club may even consider bringing in Girona loanee Douglas Luiz who was in the initial plans for Pep Guardiola’s side for the 2018/19 season, but due to complications in his English work permit, had to settle for a place in City’s sister club. Luiz has also impressed in his time in Spain, with his valuable contribution in the home of the European Champions proving most acclaimed, the 20-year-old could prove to be an excellent understudy under the guidance of Fernandinho. There can be very few compliments and praises higher than that of the legendary manager; who recently said in a press conference that a prime Guardiola would not stand a chance in the Manchester City side with Fernandinho in it. 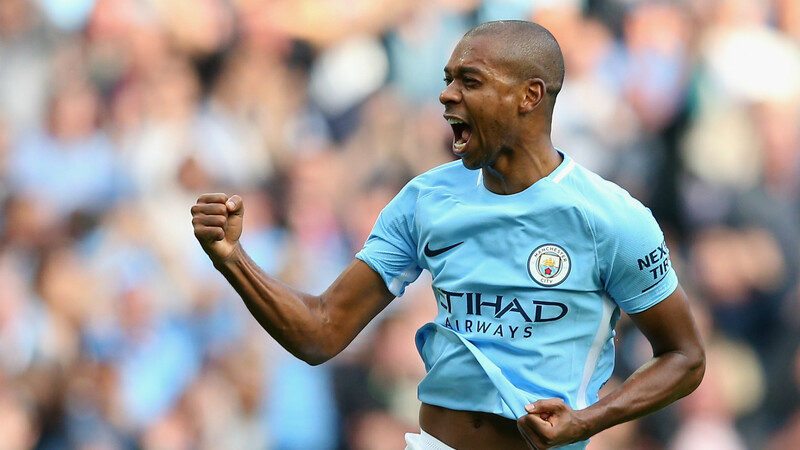 While he may not be celebrated as much as a Yaya Toure, David Silva or a Sergio Aguero; Fernandinho has played an equally important role in sky blue to propel the Manchester City side as one of the elites of Europe and into Premier League folklore.